The SpaVault is the only kit available for installing your portable Bullfrog Spa either partially or fully in the ground. 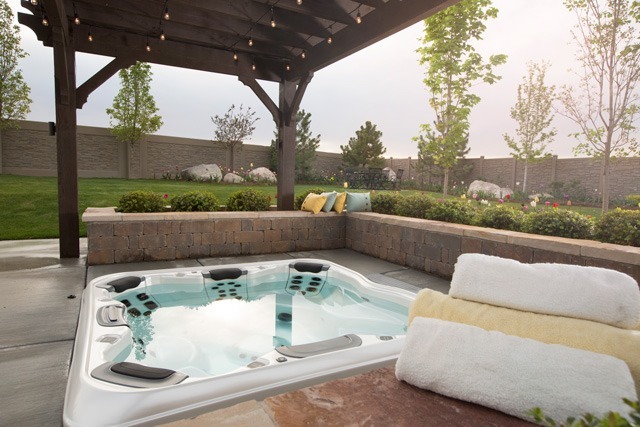 The SpaVault helps to ensure that each in ground hot tub installation is done correctly, safely, and in a way to enhance the aesthetic design of your backyard. 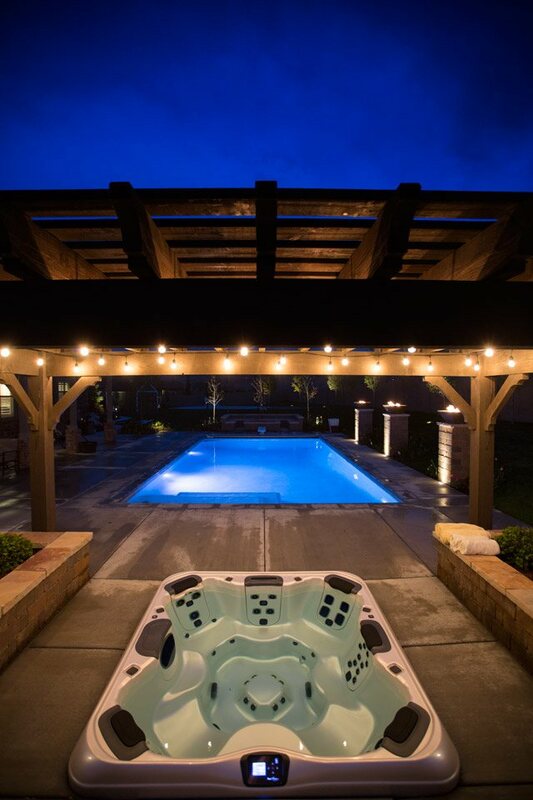 This one-of-a-kind and patented in ground hot tub kit is made of a durable galvanized steel, the same rated metal used for years in structures for the pool industry, so it will not corrode and will stand the test of time. 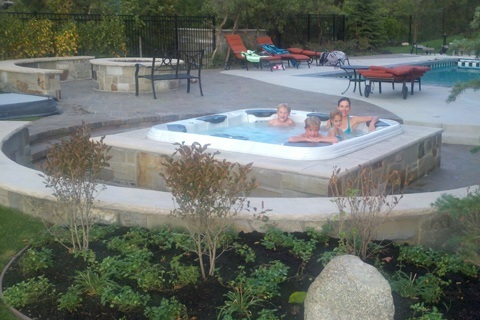 SpaVault by Bullfrog Spas makes it easy to install a hot tub in the ground that looks like a custom built in spa. With SpaVault you can choose to place your Bullfrog Spa either partially or fully in the ground, often a much more integrated and elegant look than a spa simply sitting on top of a deck or patio. The custom installation options of the SpaVault also allow you to surround you in ground spa with material that matches the design aesthetics of your home and yard (Brick Pavers, Stone, Wood, etc). A SpaVault is the perfect option for Bullfrog Spa owners that want the hydrotherapy of a portable spa with the aesthetics and accessibility of a custom spa. The SpaVault is available for order only at yourAuthorized Bullfrog Spa Dealer and is only available to fit the larger Bullfrog Spa models that are 7’10” square. The SpaVault shows yet again why Bullfrog Spas has become synonymous with innovation and design. Discover the variety of different potential applications for the SpaVault at your home and order yours today!